I have been rather unmotivated when it comes to sitting down at the computer, so I thought a little linking up might inspire me. 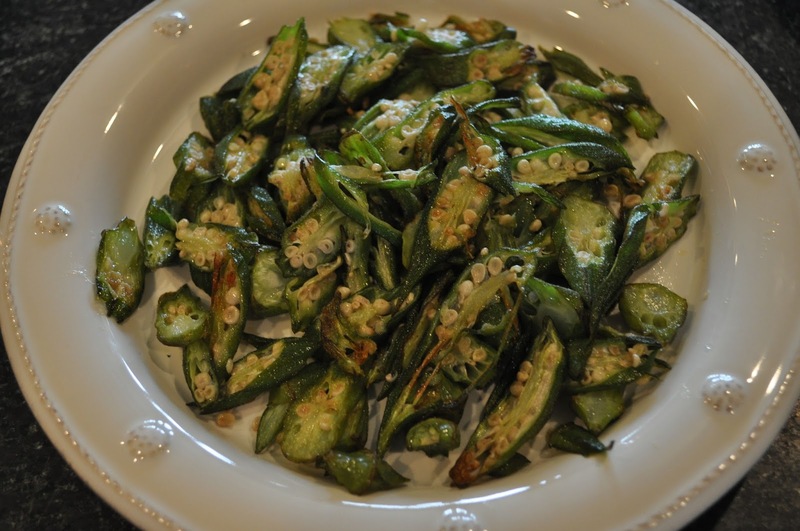 Inspired by a Natalie Dupree recipe, this okra is Morgan and Dell Harper's new favorite. Slice about 20 okra from tip to tip on the diagonal to get a long thin slice. Toss with a couple tablespoons of olive oil, 1 teaspoon of salt and a 1/2 teaspoon of pepper. Bake on a rimmed baking sheet at 400 degrees for about 15-20 minutes, turning halfway through. 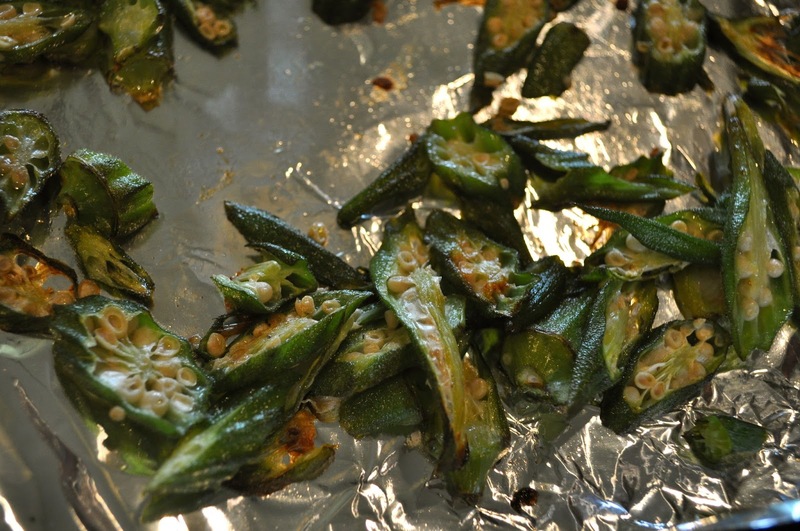 These crunchy morsels taste just like fried okra without the added mess and waistline damage. A perfect accompaniment to burgers fresh off the grill, this okra might not make it off the cookie sheet without being completely devoured. 2. 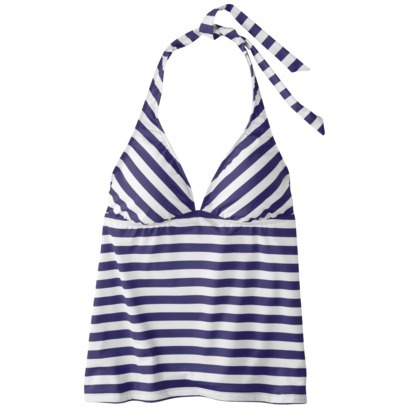 This tankini/bikini set from Target- I bought the stripey bottoms, and plain navy bottoms, a navy bikini top, and a striped swingy tankini top. 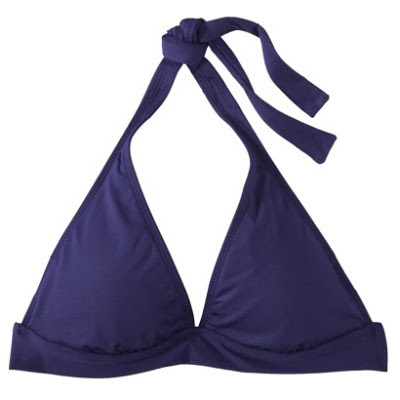 I can brazen out the bikini pre-lunch, then after my BLT throw the tankini top on over the solid suit. Check out all the Mossimo mix and match suits- darling colors, and a great price! 3. 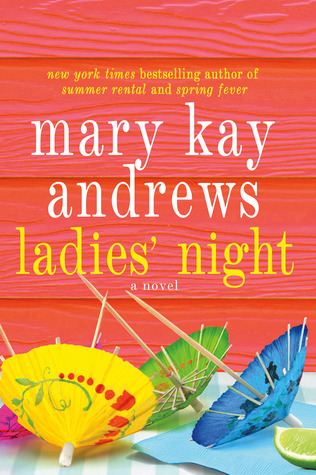 I'm listening to Mary Kay Andrews' latest on my iPod right now (as an enticement for exercise or chores), and it is such a delight. Now, don't be expecting any earth shattering literature here, but a light easy summer read about a. . . lifestyle blogger! Ha! I'm loving all the insider scoop on big-name bloggers, and their relationships with advertisers, plus a generous dose of home remodeling and of course, luuurrrvvee. 4. Speaking of home remodeling, ours is coming along. We are coming along! The shake will be painted the greenish gray of the gutters, and a window will replace the plyboard hole. You can really see in this picture how the roof line has changed- it used to follow the line of the stone wall. I am going to feel like a princess in my redone digs- if you can't find me, I might be hiding/reveling in my new closet! We (and by we I mean Mama) are going to make some darling little reversible swingy tops and bloomer sets for Miss Priss. With little pockets on the front? With ric rac trim? Too cute! Ha, I laughed with my mom that we better get a lot of fabric, as Dell Harper will likely be three by the time she has a chance to make them. I have never had okra so I am going to have to try your okra chips. The okra chips look awesome! Will give a try! i LOVE those fabrics and cannot wait to see DH's new outfits!!! YAY for house reno progress...i bet yall are pumped! and now I am going to need to pick up that book-love her stuff! Those ensembles are going to be stunners. I have the same bathing suits. Surprised? Those okra chips will be made STAT. The house is going to be fab! Making that okra tonight my friend - thanks for the tip! Those fabrics are amazing! And I am about to be ordering that suit. You little enabler! That book sounds so fun! Adding it to my ever growing list of "books to read"! Dell Harper is going to be one stylin' lady in those precious fabrics! Your remodel is looking fantastic. I can't wait to see the before and after photos! 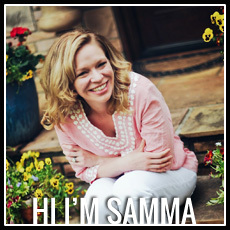 Hey Samma! Love reading your blog and seeing all the precious pics of Dell Harper - she's a cutie pie. Thanks for the book rec ... sounds like it would be perfect for my beach vacay coming up in July! MMMMMMM That okra looks amazing!! !